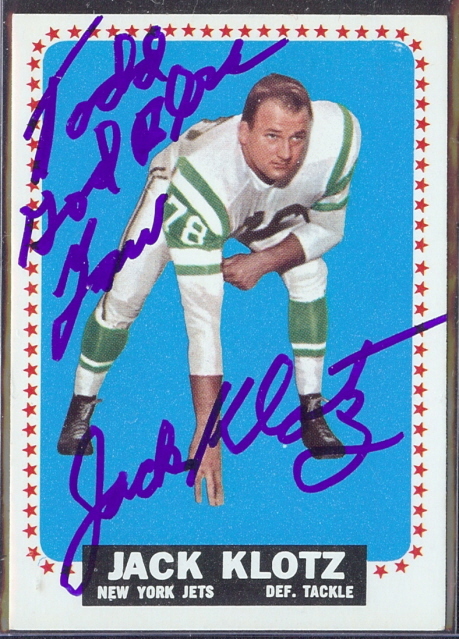 Jack Klotz was a relatively large (for the time – 6’4″, and 260 lbs.) offensive tackle who played in the American Football League from 1960-1964. During that time Klotz played for the New York Titans, San Diego Chargers (three games), New York Jets and ultimately, Houston Oilers.